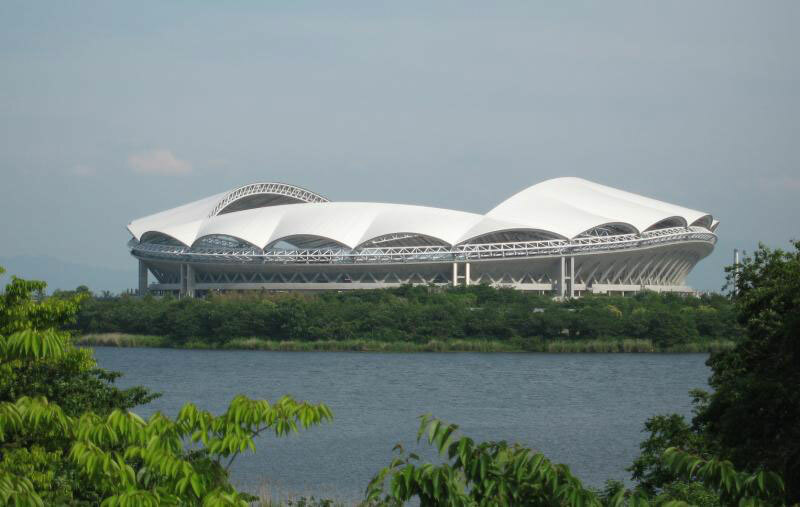 Category: venue for international sporting events. Architectural features: net frame structure, Teflon film covering 90% of the auditorium. 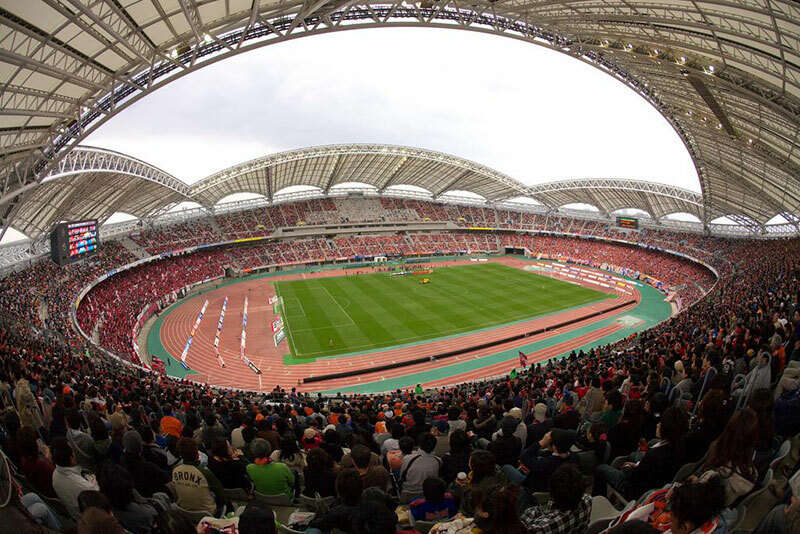 The audience seats are double-decker, with a tilt of 31degree. 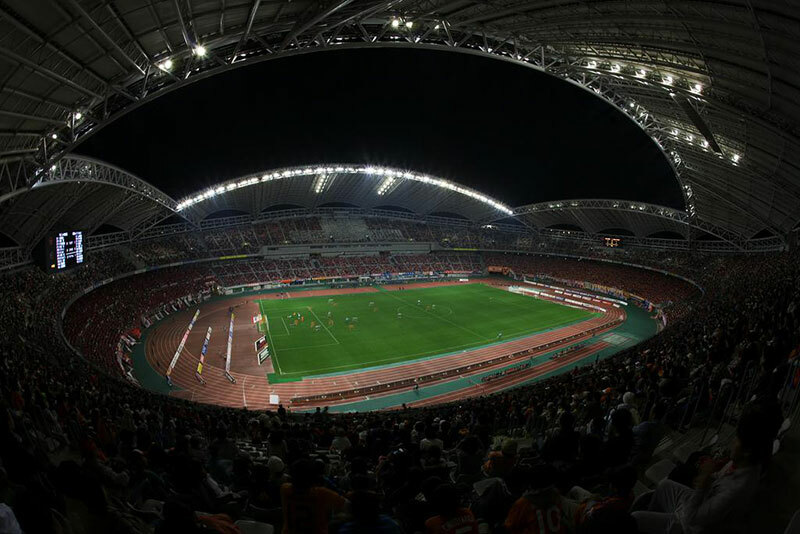 Major games held: 2002 World Cup Japan division opening ceremony venue. Lighting mode: the mixed illumination of high color type light source and common light source can meet the requirement of high definition color TV. Short arc 2kw narrow angle instantaneous restarting projector 98 sets. Short arc 2kw medium angle instantaneous restarting projector 44 sets. Short arc 2kw narrow angle projector 20 sets. Short arc 1.5kw medium angle projector 48 sets. Short arc 1.5kw narrow angle projector 110 sets. 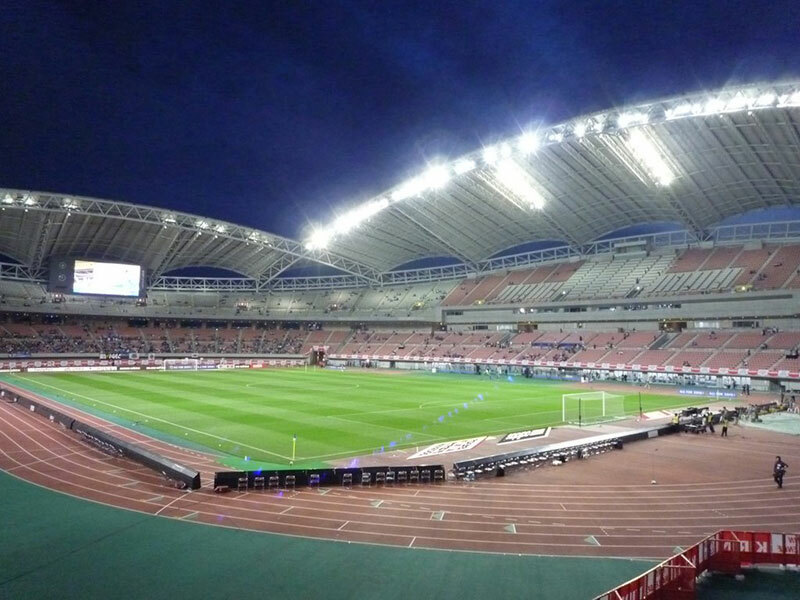 Comments: 320 sets floodlights, power consumption 561kw, average vertical illumination is only 1030lux, while FIFA requires more than 1400lux. Color rendering index is only 83, which seems to be a little low. Mecree LED floodlights, 500-800W can directly replace 1500W old lamps, 800-1000w can replace 2000w old lamps in the stadium. Suppose replacing the old lamps with our LED floodlights, based on the power consumption of 8 hours per day and 365 days per year, our LED floodlights can save 70% on electricity costs per year compared with old lamps. 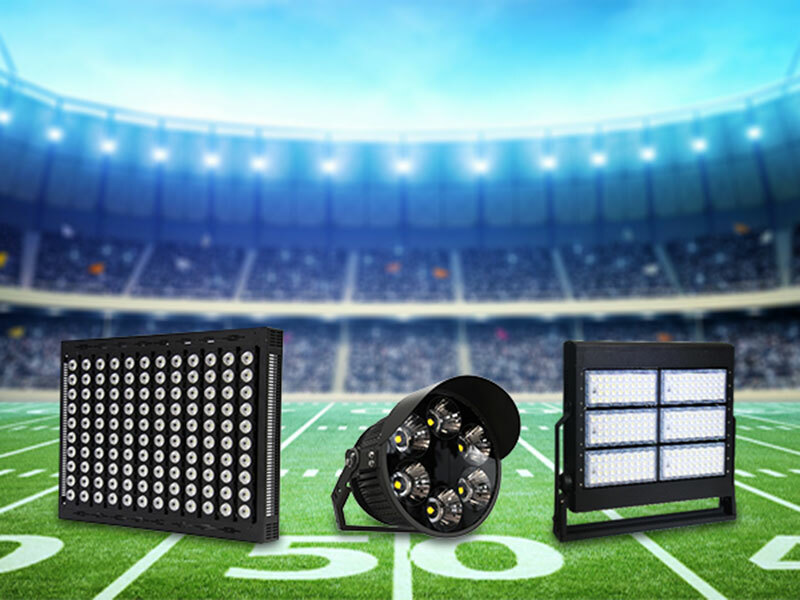 Mecree 100-5000W floodlights, 150lm/w high luminous, CRI80+ or 90+, with professional engineer team can meet your different standard remands for sport stadiums. If you are interested, have any questions or needs, please feel free to contact us via [email protected] for free lighting advice anytime. We will reply you within 24 hours.